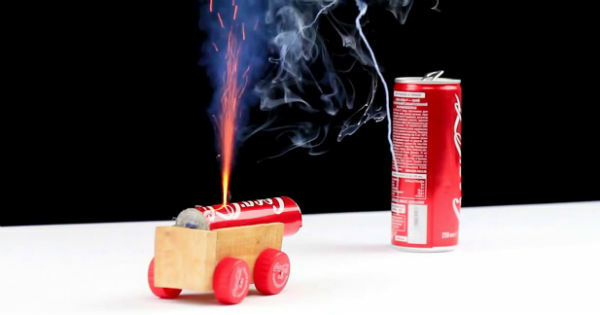 This Is How You Can Build Your Mini Coca Cola Cannon! - Muscle Cars Zone! This is how you can build your mini Coca Cola cannon and enjoy your time for the weekends! If you have some time on your hands, you would like to do something creative during the weekend and you are a car enthusiast then you should look no further. This is one amazing DIY project that could keep you entertained and this amazing Coca Cola cannon can be done from the materials found around your home. By the way it’s very interesting project to work on and you will have a great time. It is actually a step by step video with all the details for the process and you could add your own custom modification if you are creative. You will be amazed from the final result and you can have fun every day with your new little gadget. So, check out the video below and learn quickly how you can build your own mini cannon. All you will need is an empty coca cola cans, four caps, one little wooden block & good quality double sided tape. Please be careful and this little thing can be dangerous because is very powerful. Thanks for watching the video, now please share it with you friends and tell us what do you think in the comments section below. Thanks a lot in advance.